–Sept 22, 2014: Save North Korean Refugees Day 2014. Thank you to all those who joined us at the U.S. State Department in Chinatown, Washington, D.C. to highlight the increasingly horrific situation North Koreans face in their attempt to escape to freedom in South Korea and other countries. To read the Report click here. For the Press Release, click here. –March 25, 2014: A special thank you to Governor Kim Moon Soo of the Gyeonggi Province, South Korea for visiting the Coalition during our meeting on Mar 25, 2014. He gave us inspiring words regarding the importance of continuing to work for human rights in North Korea, citing his own experience as a prisoner when he was a young student activist. —December 10, 2013: The petition calling on China to stop the forced repatriation of North Koreans was delivered to the Chinese Embassy in Washington, D.C. on Dec 10, 2013, Human Rights Day with over 8,000 signatures. We continue to make the petition available for additional signatures with delivery to the Chinese Embassy to be announced. Read the Dec 10 press release highlighting six victims from THE LIST. View video footage containing personal testimonies from those who escaped North Korea. 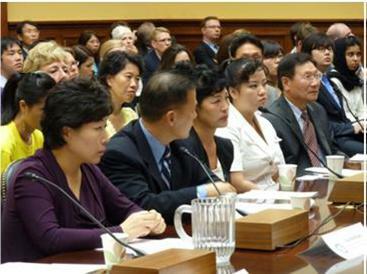 View CNN’s heartbreaking story of the 9 North Korean orphans forcibly repatriated in May 2013. — April 28 – May 6, 2013: 10th Annual North Korea Freedom Week. To view the report, photos, and articles about North Korea Freedom Week 2013, click here. –February 15, 2013: Dr. Suzanne Scholte was awarded the Order of Diplomatic Service Merit Sungnye Medal. The Order of Diplomatic Service Merit Sungnye Medal carries with it an appreciation for Dr. Scholte’s career as a human rights crusader. It honors her service. 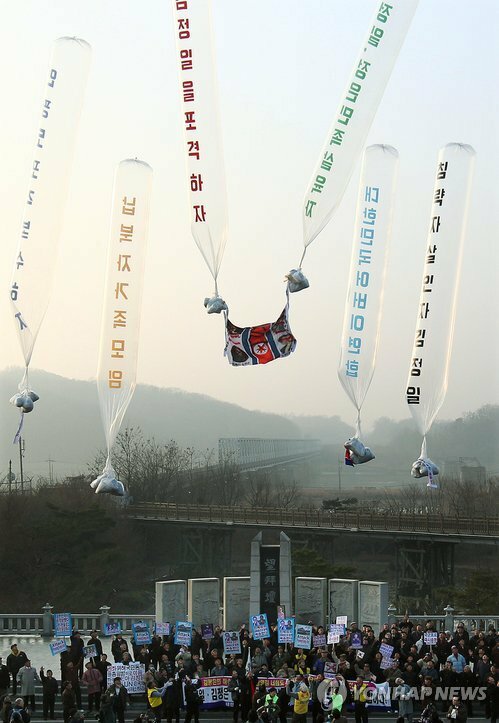 It was presented to her as an expression of friendship, admiration, and gratitude from the Korean people. Click here to read the ceremony remarks of Ambassador Y.J. Cho and Dr. Suzanne Scholte and to view photos. –February 2013: Send a Gospel Message Broadcast into North Korea: Find out how your church can sponsor a gospel message broadcast into North Korea through Free North Korea Radio, an award winning Seoul based radio station staffed by North Korean refugees broadcasting news and information into North Korea. The sponsorship program is led by the Defense Forum Foundation. Click here for more info in Korean and English. –February 2013: Read New Year messages from members of Congress which were broadcast into North Korea through Free North Korea Radio in Feb 2013. –February 8, 2013: Special Screening of 48M by Congressman Frank R. Wolf and Congressman Rob Wittman. Read the article published in the Christianity Daily (Korean and English). –January 28, 2013: North Korea in the Dark, an op-ed written by Benedict Rogers and published in the New York Times on Jan 28, 2013. –January 14, 2013: The North Korean Child Welfare Act of 2012 (H.R. 1464) was enacted. Click here to read the text. –September 22, 2012: Report on the International Protest to Save North Korean Refugees held on September 22, 2012. Click here to download the report. — July 22, 2012: Vigils at the White House & Chinese Embassy on Tues, July 10 and Capitol Hill Rally on Wed, July 11 at 12 noon. Read more here. –April 2012: To read about our 9th Annual North Korea Freedom Week held in South Korea, click here. –September 22, 2011: International Protest to Save North Korean Refugees held on Sept 22, 2011. Activities occurred in 13 countries and 24 cities! To download the flyer, click here. For more info, to download documents, and to read Congressional Testimonies from September 20, click here. –September 23, 2010: NKFC’s Second Annual Save North Korean Refugees Day, Washington, D.C., included Protest Rally at the Chinese Embassy in Washington, D.C. (View video) and a Hearing of the Tom Lantos Human Rights Commission: Escaping North Korea – The Plight of Defectors: (View Witness Testimonies) (Korea Times DC article). –April 2010: To read about our 7th Annual North Korea Freedom Week. (View Report & Acknowledgements) This was the first year to hold NKFW in Seoul, South Korea. –March 30, 2010: Protest at the Chinese Embassy to Save North Korean Refugees (3505 International Place, N.W. Washington, D.C. 20008. ), led by the Pyongyang Musical Group to protest against China’s violent treatment of North Korean refugees. The Pyongyang Musical Group is a visiting group of North Korean defectors who have been performing in the USA at churches to raise awareness of the North Korean human rights issues. Most of them escaped to freedom through China and they want to continue to raise awareness of the suffering that refugees undergo especially female refugees.